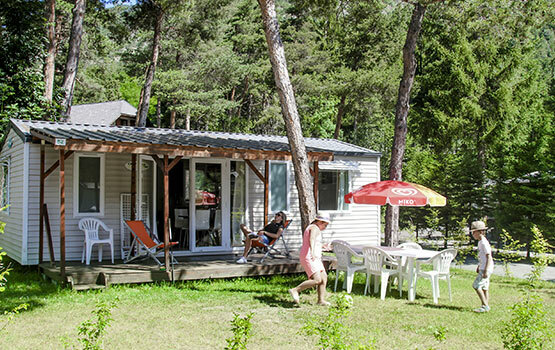 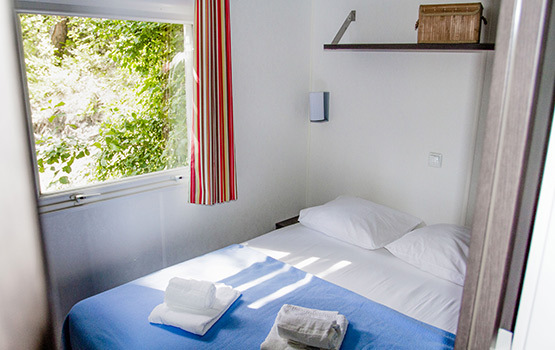 For an unforgettable holiday in Alpes-de-Haute-Provence, with friends or family, let yourself be tempted by the rental of a 6-person mobile home in the heart of our campsite. 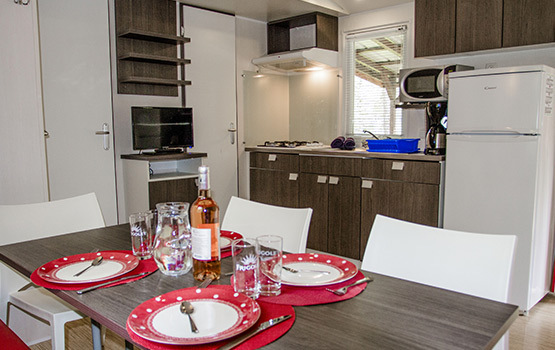 With a surface area of 31 m2, the mobile home has 3 separate bedrooms, a bathroom, a fully equipped and functional kitchen, as well as a large private outdoor terrace. 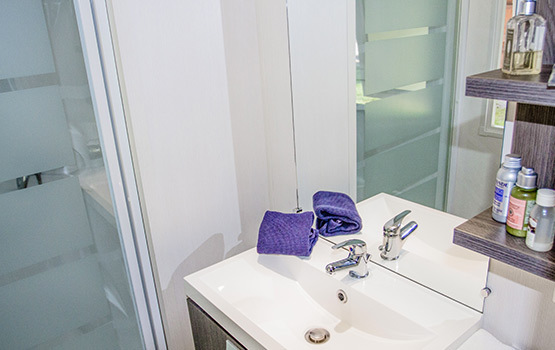 You will live in a comfort similar to a top-of-the-range service. 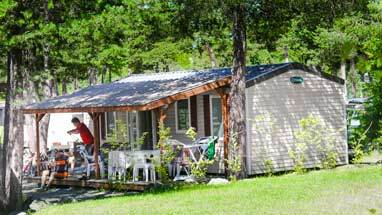 The environment of the mobile home will seduce you, the nature surrounding the plots will make your camping stay a real change of scenery! 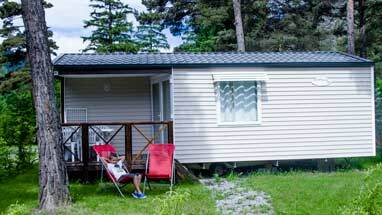 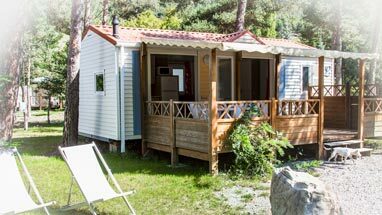 For even more comfort, the mobile home is equipped with a barbecue on the terrace, a garden furniture to enjoy sunny afternoons, deckchairs and multimedia equipment. 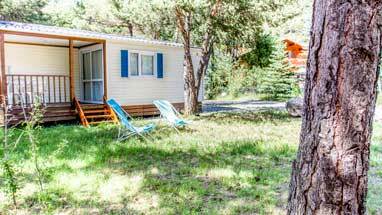 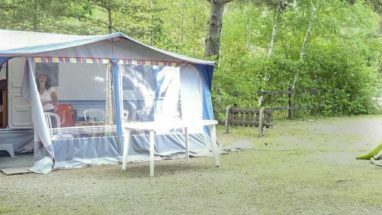 So don’t hesitate any longer, book now the mobile home for 6 people in our campsite Fontarache. 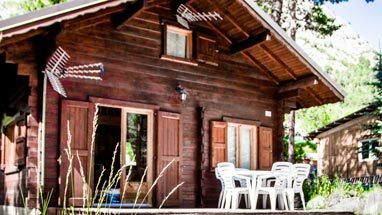 It will be for you the opportunity to spend an unforgettable stay, in a comfort and living environment that you will remember.